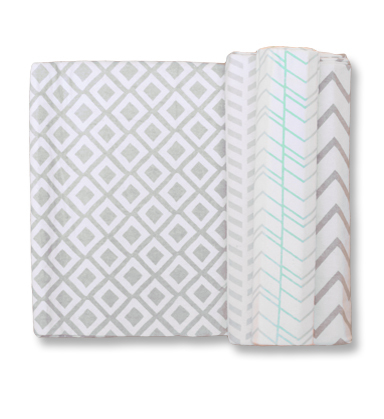 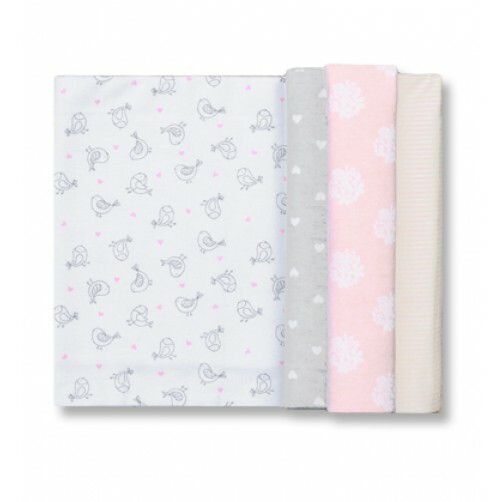 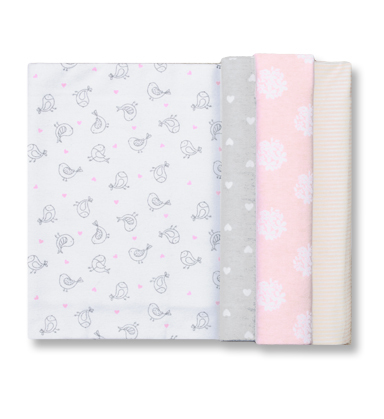 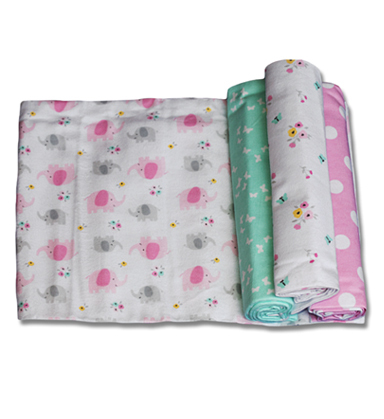 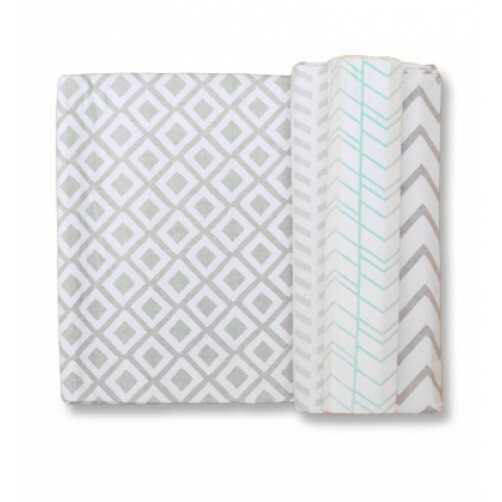 Our 100% Cotton Blankets are super soft and comfy. 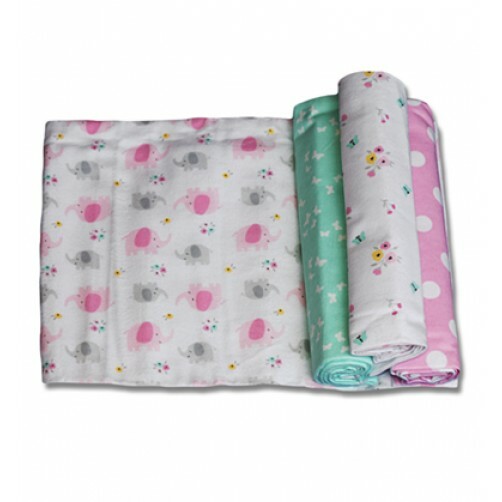 Our receiving blankets are sold in sets of 4. 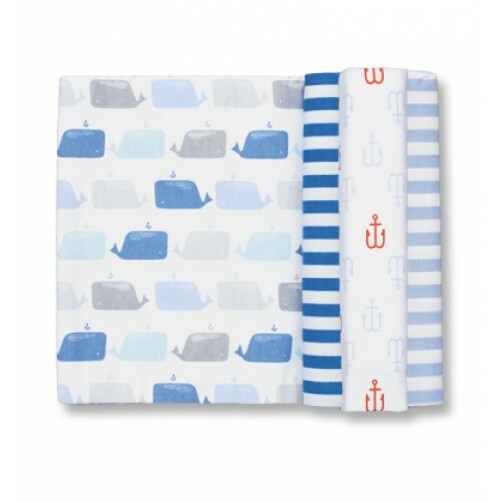 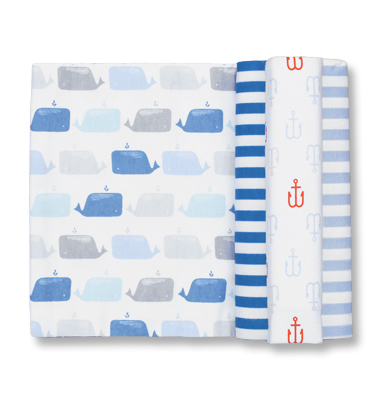 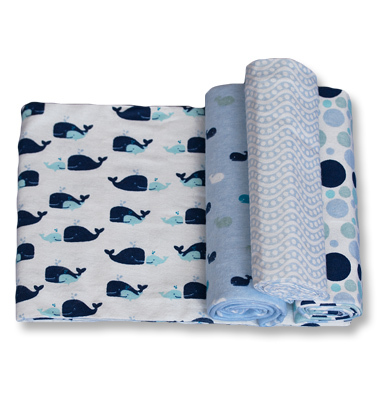 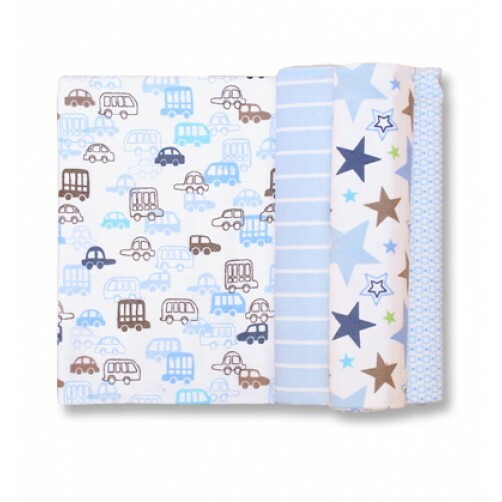 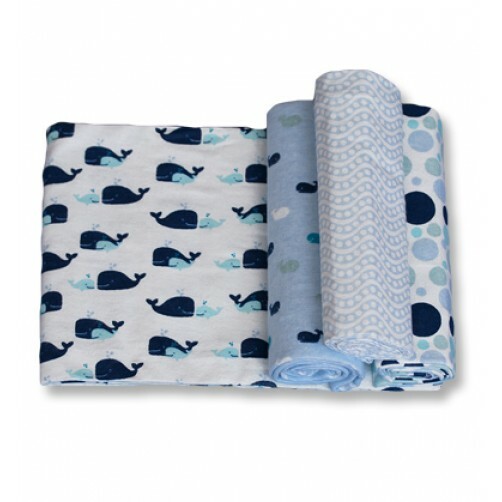 And the gorgeous prints and colours will compliment your nursery.